This points to a larger and more complex issue for me: Professional pundits and their financial motivations -> everybody on the street is trying to make money any way they can, and that includes providing advice … –> note to self: understand the profit motivation of every piece of advice accepted as valuable! This was an interesting read on the voodoo magic of stock picking http://www.priceactionlab.com/Blog/2018/05/stock-picking/ — blind love for any 1 tool or methodology is one definition of stupid. 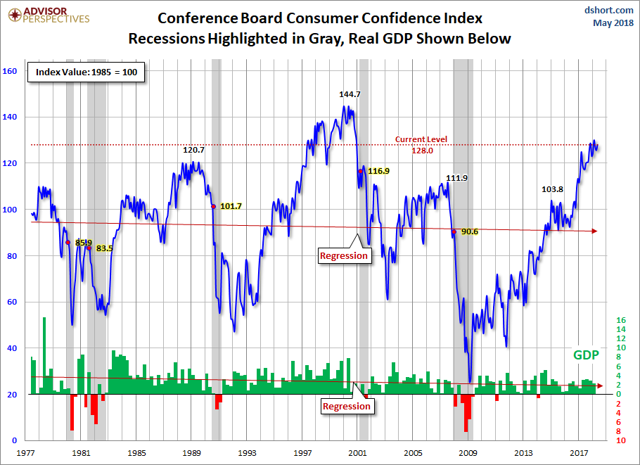 Is consumer confidence a contrarian indicator at tops? 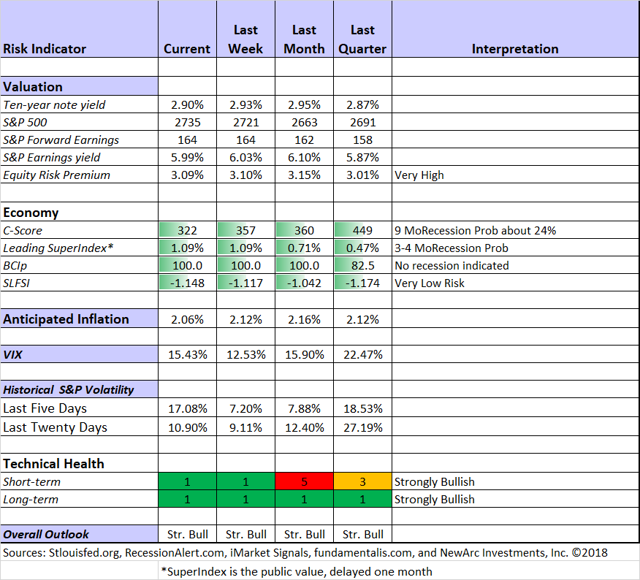 Most of below indicators show little change; however, anticipated inflation caught my attention – the lowest number of the 4 – what’s up w/ this as the Fed speakers are all talking about reaching ‘acceptable levels’ and ‘making progress toward inflation goals’? — this is an important trend to watch! Jeff added a nice section referencing Brian Gilmartin and Ed Yardeni preference for forward PE analysis (both guys are highly respected btw), and then he cautions with analyst delayed recognition of recessions. I see Chuck’s FastGraphs analyst success rates as one tool we can use to help recognizing which companies and analysts are better at recognizing recession (and lowering revenue / earnings) early and accurately. 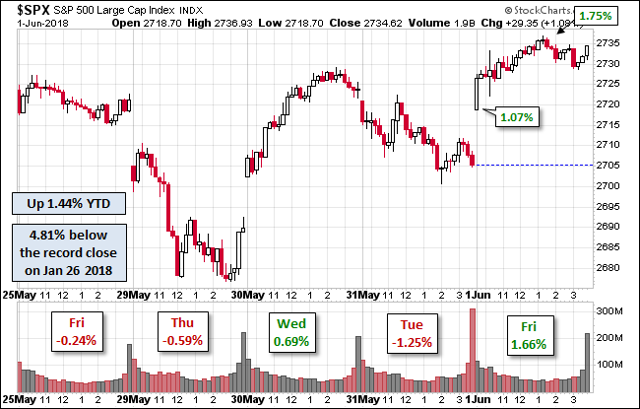 From another pointer, http://www.horancapitaladvisors.com/blog/2018/05/26/potential-for-a-stronger-second-half-in-stocks, this is a good luck forward to Q1’19, but i came away with a different take-away. Me = unless something material changes the rev / earnings view upward, the 2H 2018 ‘market’ will have more sideways motion swinging w/ the news of the day. Companies will win via their performance and execution, not the tide lifting all boats.